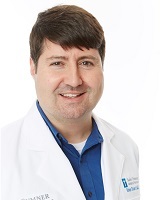 Dr. Bennett is a Family Practice physician with St Thomas Medical Partners – Sumner Medical Group. He is a member of the American Academy of Family Practice and Tennessee Academy of Family Practice. He lives in Gallatin with his wife Leslie and three children Abby, Matthew and Ethan. He enjoys running, boating on Old Hickory Lake and spending time with his wife and children.